In Valdosta, Ga., visitors can get lost in all things Chick-fil-A. There’s a farm that sits on Highway 41, just north of the Florida state line. Depending on the time of year, its acres are filled with peppers or cucumbers, squash or eggplant. This fall? It’s corn, cows and chicken. Jessica Bolesta opened Raisin’ Cane farm in the fall of 2013 with a “Georgia Grown” corn maze design, celebrating local farmers and their products – and each year since, she’s crafted a new design. 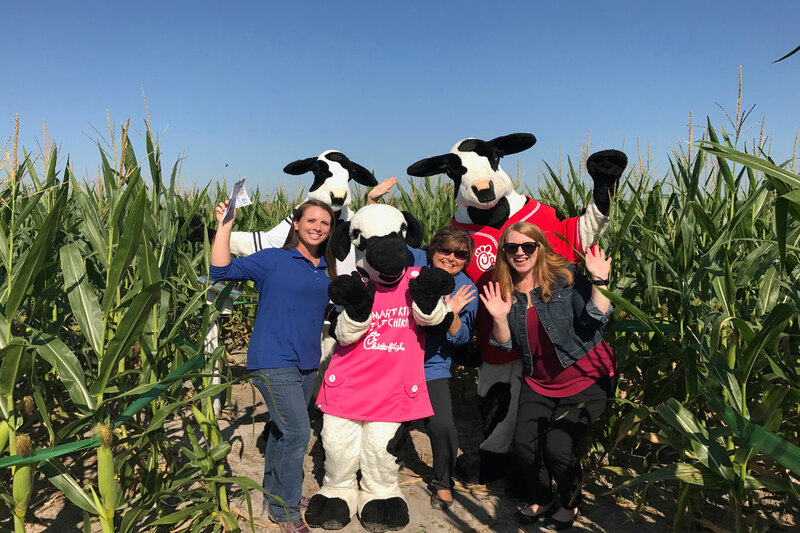 Now in their fifth year, Bolesta knew she had to have the Chick-fil-A Cow for the autumn activity that has quickly become local tradition. Bolesta reached out to Tina King from the Lake Park, Ga., Chick-fil-A. King immediately jumped on board, and so did the Operators -- and the Cows -- from all four local Chick-fil-A locations. 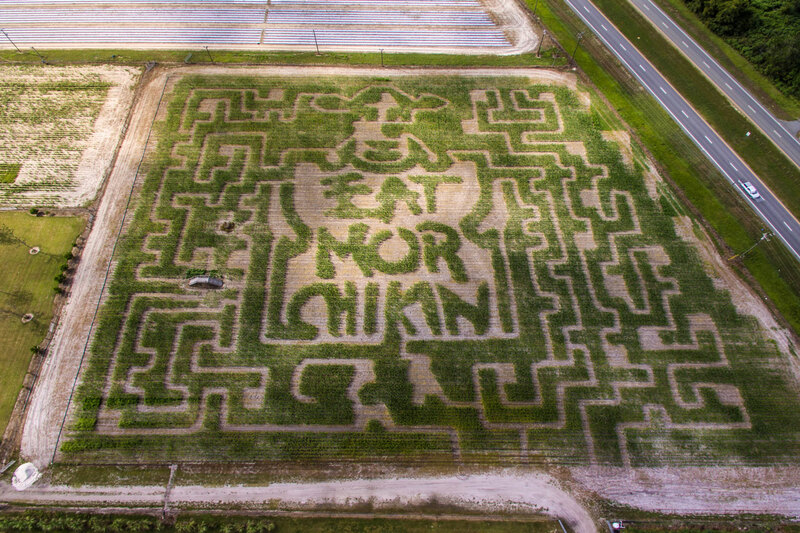 The blueprint features Chick-fil-A’s famous Cows in its six-foot tall corn rows. There’s a large maze for adults and older kids, and a mini maze for small children. The larger maze can take an hour or more to complete, but Bolesta has hidden little treats along the way: Chick-fil-A trivia stations. 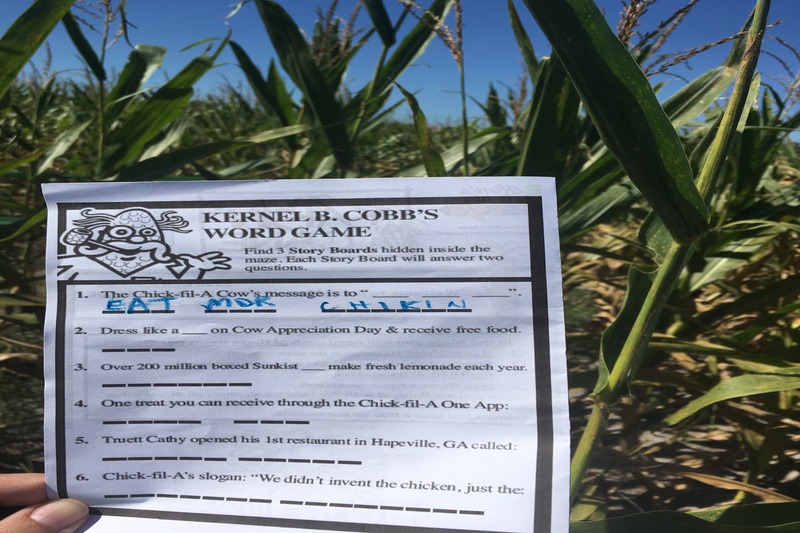 Each person gets a game sheet on the way into the maze and uses it to find hidden spots with fun Chick-fil-A facts, sure to keep even the most puzzled maze participant entertained. The Raisin’ Cane crew started preparing the maze back in July. That’s when they planted the corn, first in rows, then again cross-ways so there were no gaps in the maze wall. It’s essentially double planted and grows like a regular field until it is a couple of feet high – and that’s when the magic happens. 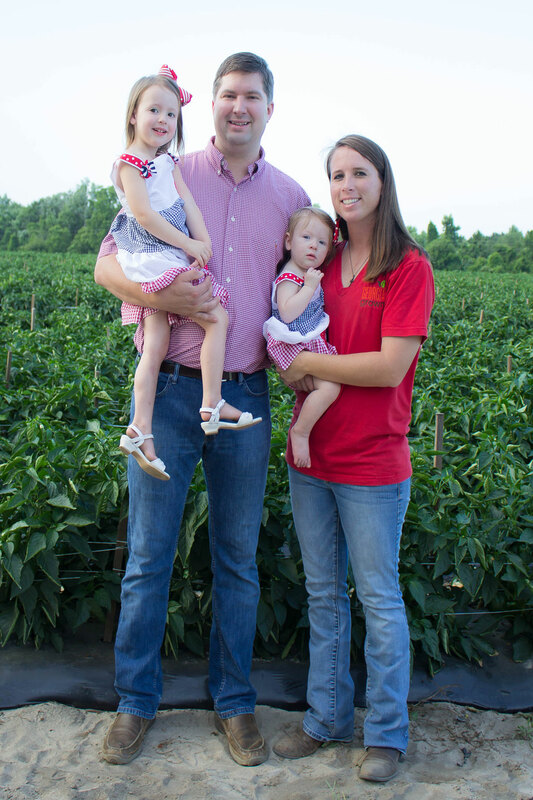 Before she opened Raisin’ Cane, Bolesta worked on her family’s farm and attended a conference in January of 2012 where Jeff Manley was the speaker. Manley is the general manager of The Rock Ranch, a agritourism destination that Chick-fil-A founder Truett Cathy opened in 1989. Manley’s speech was a revelation for Bolesta and planted the seed for what would soon become her life’s work. The very next spring, Bolesta and her family broke ground on their farm. Seven months later, Raisin’ Cane opened its doors -- and its first corn maze -- to the public. Much like Rock Ranch, Raisin’ Cane is a working farm that grows produce. There’s a market that is open year-round with jams, jellies, breads, and take-and-bake casseroles. 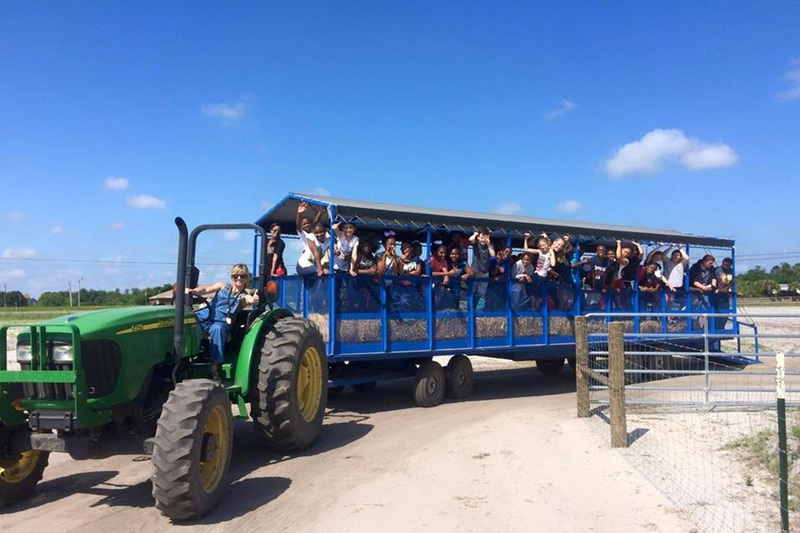 Raisin’ Cane’s farm opens to the public for six weekends in the fall, offering the maze, hay rides, and games. During growing season, Raisin’ Cane hosts its VIPs: elementary school students. More than 14,000 elementary school students tour the facility every year on field trips. They come every weekday in October, November, March, April, and May. For some of them, it’s their first time ever being near agriculture. Bolesta sees new faces every year on the tours, but she’s noticing some familiar ones, too. The same goes for the families who visit every fall, bringing new and growing babies to the pumpkin patch for pictures and giggling together through the corn maze.